I will be back tomorrow with more holiday cards, but for now, I hope you enjoyed the break as much as I did!! Thanks for stopping by!! It's Tuesday, so that means I am back with Day 21 of my follow along with the Holiday Card Series over at Kristina Werner's blog. Love the design of the card today (well really yesterday). I used regular cardstock (Ruby Red by Stampin Up) instead of a patterned card design, and did some embossing with some snowflake stamps from inkadinkado. Then I used some Fancy Pants Tradition pattern papers for the bottom portion, and the Noel stamp is also from inkadinkado. I went ahead and made a flower too...mine has three layers. Don't forget that today is the last day for free shipping on orders over $25 at twopeasinabucket.com (no I don't get anything for saying that...just LOVE that place)!!! If there's one thing I miss most about living in upstate New York (Syracuse area) it's the snow during the holidays. I will never get used to above freezing temperatures on Christmas no matter how long I live in Florida!! So, having said that, I absolutely loved Kristina's card for Day 20 of her Holiday Card series...mainly because of the senitment. Of course, I had to use that senitment, but I made my card a bit different. First, I made a square card, only because I already had the card cut and scored. I had plans to use it on another project but changed my mind, so there it sat blank on my desk. I figured, why not...saved me some time!! I used letter stickers from my stash, an old set by Making Memories and a different wooly snowman (I should note that I probably would have used my White Bliss Thickers too, but I only have one 't' so that wouldn't work). I also kept my lines straight, instead of the curve and I used a scalloped border punch instead of punching circles. Love how it turned out. Let me know what you think!! Happy Black Friday to you all!! I hope your Thanksgiving was grand and plentiful. I hope you were able to spend lots of time with your loved ones, enjoy their company, and reflect on all that you are thankful for!! I used my silhouette to die cut the snowman card, attached some pattern paper behind the cut-out, stamped the sentiment, then free-hand drew a line around the card. Easy peasy!! And it's thin so there won't be any bulk when sending it to that lucky recipient in a few weeks!! Love that!! This is my second post for the day. Again, I want to take the time to wish everyone in the US a very Happy Thanksgiving!! I hope you are celebrating today with loved ones and taking time to reflect on all that you are thankful for!! The Challenge: Recently the design team and I put together a variety of holiday tags that are perfect to keep on hand for quick wrap options. Now it's your turn to inspire us and the rest of the Papertrey community! Design a holiday tag or two using all of your favorite goodies and share it with all of us! We will all have plenty of inspiration to create a large stash and try to get ahead of the hustle and bustle of the season! I have never made homemade tags for the holiday's before. I use the store bought, already stickey backed, tags that I get for half off the day after Christmas. I have tons of these tags on hand!! I mean tons! I probably don't need to get tags for at least 10 years!! LOL!! They're so cheap after Christmas that I can't resist getting lots!! But this year, mainly because of the push this challenge gave me, I decided to make some of my own tags. Now, the question remains whether or not I will be able to separate myself from them and actually use them instead of the store bought tags. I made two of each: Red, Green, Blue, and Brown. I like variety, what can I say. Here's a close up of one of each of the colors. You can kind of see the glitter from the stickle's. Love it up close. I can't wait to use these this holiday!! After I got done making these little cuties, I decided I would make a few tags and try out "The Lazy Stamper Accordion Medallion" technique with the Limitless Layers Die Collection that Nichole featured on her blog during the October release countdown. You can find it here if you want specific directions from her (just scroll down a bit, you'll find it I promise). I used my new favorite color combo for my second set of tags...Blueberry Sky and Fine Linen. These colors are so wonderful together!! I can not get enough of this color combo!! And the medallions were super easy to put together if you were wondering. And then, because two sets weren't enough...and because I loved the Sweet Blush - Scarlet Jewel color combo that Nichole used during the November release...I couldn't help but make one more tag set. So here we are with other favorite color combo...and one that I will be using more in the future. I hope the rest of your Thanksgiving is wonderful and filled with memories and laughter!! Thanks for taking the time today to stop by!! This is my first of two posts today. However, before I get into the project, I wanted to take the time to wish everyone in the US a very Happy Thanksgiving. I hope you are enjoying the holiday and having fun in the company of loved ones. I hope you have found time to reflect upon everything in your life that you are grateful for!! For me it's my family and my husband!! I am thankful that I have a wonderful, loving, family and husband! I could not go through this life without them!! I broke out my Bliss Thickers by American Crafts for the sentiment. I don't usually use Thickers on my cards, but I just love this font...so I went for it and I really like how it turned out!! 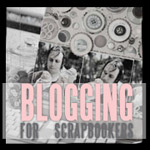 Thanks for stopping by and I will see you in a bit with my Papertrey Blog Hop Challenge projects!! I have loved Basic Grey since they first came onto the scene. They have always been one of my most favorite manufactures. There isn't a line that I don't get some of or all of when it become available. They are consistent in offereing fabulous products that really match my style!! Having said that, I was super excited to see that they are the sponsor of this week of Kristina's 2010 Holiday Card Series!! And since it's Day 16 of the series, I figured I would finally get on here and share the card that I mde, completely inspired by Kristina!! I am thankful to have a few days off leading up to and including Thanksgiving, before the hustle and bustle of the holiday season really begins. I am heading to a new LSS today to check them out. They aren't really new...but they are new to me...so i am excited. 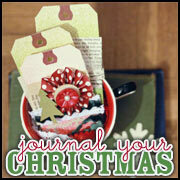 I am also going to be working on putting my "Journal Your Christmas" album together. I want to try to have pages cut and in some kind of order before we get started with it. I am likely to fall behind with work getting very hectic!! Life working in retail around the holidays isn't the greatest...working 60 hours a week and getting 5 days off between Thanksgiving and Christmas...doesn't leave much free time since I want to spend as much time as possible enjoying the season and the company of friends and family. Please, everyone, when you are out shopping this season, from one working in the retail industry, be kind and patient!! I don't know why, but this time of year seems to bring out the worst in people when it should inspire the best!! Have a great Tuesday and thanks for stopping by!! Happy Saturday!! I am so grateful to have the weekend off!! When you work in retail, weekends off this time of year are few and far between, so I am thankful that I get to spend some time with my hubby before the season really gets into high gear. I am also grateful for some time off leading up to Thanksgiving...can you believe it's coming up on Thursday?? I used my Stitchery Stamp Set by Sassafrass and did some embossing. Combined that with a sticker and tag from the collection pack, and viola...a super simple, but cute Christmas card!! I am so happy it's almost the weekend!! Who's going to see the new Harry Potter?? Looks like my hubby will be taking me on Sunday and I can not wait!! I used some Martha Stewart snowflakes. Love them so!! I decided to do an embossed stamp for the sentiment. I have been wanting to use the Snowflake cling stamp by Hero Arts for a LONG time so I seized the opportunity on this card. I can't believe it's Day 11 of the 2010 Holiday Card Series over at Kristina Werner's blog (seriously...go check it out...so inspirational). Loving that this week's sponsor is Cosmo Cricket...more specifically the Mitten Weather collection. LOVE!! I already broke out my 6x6 pad last week, which you can see here if you'd like. For this card, I used more of the traditional colors of the pad, with some Fine Linen cardstock (Papertrey Ink). Worked so well together. I used a stamp (also from Papertrey Ink) from the 2010 Holiday Tag collection for the focal image, also stamped on Fine Linen cardstock. That is my newest favorite neutral...reminds me of the perfect color of a cup of coffee!! Happy Saturday! Quick post today. I just wanted to share my Day 10 card!! I used the third card for inspiration on this one. Oh, and I can not believe I have managed to keep up with this!! I decided to layer another pair of felt snowflakes and I used some scripty Dear Lizzy Christmas paper, which meant no stamping! Super easy and super cute!! On to Day 9 of the Holiday Card Series over at Kristina Werner's blog. Love playing along with this, even though it's not a challenge to do so. Broke our my distressed dots and sugar plum pattern papers from Papertrey Ink for this one, and used one of the vintage ornaments dies (also from Papertrey Ink) along with some red thickers. Super simple. Might just have to make another one of these!! Back with another card today, Day #8, in Kristina Werner's Card series. This one was pretty quick to come together...took only about 30 minutes including time to pick out my supplies. I think the liquid pearls took longer to dry than anything else about this card. Life has made lots of plans for me today so it's going to be a quick post. Broke our some Vintage Cream felt and the Peace Be Still snowflake dies, both from Papertrey Ink, for the layered embellishment. I don't have the stamp set that goes with those dies, but oh how I love them so!! I love that snowflake so much!! I know you will be seeing it again before the season is over. Added on a Plum Pudding button (also by Papertrey Ink) and some purple DMC floss. I rounded the top corner because there was just too much space up there that it needed something. Hello everyone, back with my version of Kristina Werner's Holiday Card Series #6. I love that this week, Kristin's sponsor is American Crafts, specifically the Dear Lizzy Christmas Collection!! I have had many of the papers (but not all of the embellishments) since they released over at 2peas!! I couldn't wait to get my hands on this line when I saw the line over at the American Crafts blog back in July during CHA. Not the greatest picture I know. Anyway...off to get Monday started!!! Thanks for stopping by!! Alcohol Inks and Watercolor Paper?? I was a bit skeptical to be honest. But since Jennifer McGuire's technique classes had never led me astray before, I gave it a try. You can too by following that link over to the class at 2peas. Anyway, I wondered what would be the worst that would happen if I didn't like the results...another paper would end up in the recycable bag...no loss there. So I cut my watercolor paper to size, chose my ink colors, and loaded up the felt applicator. The result I got was AMAYZING!! I actually think I preferr alcohol inks on watercolor paper to glossy paper...hands down!! Oh wait, I forgot a step...I did do some heat embossing with white embossing powder before using those alcohol inks...just like Jennifer did. Anyway, I figure I should get around to showing you my results!! I chose make a Thanksgiving card instead of a Christmas card for this project...I sure hope that's OK, and somehow I am sure it is!! I chose alcohol inks in fall colors to go along with the theme of the card. I miss fall so much so this was very fun to make!! Since I am originally from Central New York, I was very used to four distinct seasons. Now that I live in Central Florida, that's the one thing I miss most. I don't miss the snow too much except in the days leading up to and following Christmas (I don't think I will ever get used to above freezing temperatures on Christmas no matter how long I live here). I do, however, miss the fall and spring. I miss the changing leaves and the vibrant colors of fall, and the new buds and colorful flowers awakening from a long slumber in the spring. And you just can't beat the 70's and low 80's in the summer (as compared to high 90's with 100% humidity in Florida). I am not trying to bash Florida...I just really miss having four distinct seasons...did I say that already. Anyway, I hope you enjoy the card!! I will be back tomorrow with my latest creation for the Papertrey Playhouse Challenge!! Single Layer Cards...LOVE them!! Until then, thanks for stopping by!! Ok, so Card #5 features a banner senitment and three different snowflakes...at least that's how Kristina Werner made the card. I attempted the banner with some Lawn Fawn stamps, but had a major issue spelling Holidays (yep...totally spelled it hoidaies...how does that happen??)!!! 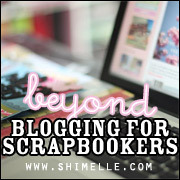 So I took some scrap cardstock and cut it to size...and very very quickly made that DISAPPEAR!! That's my funny for the day that's for sure!! But I love how mistakes can be quickly covered up and made as if it never happened. In fact, if I hadn't mentioned it, you likely would never know I made a mistake!! Love that about papercrafting!! For the snowflakes, I used the 2010 Holiday Tag Set from Papertrey Ink. Love that I could just easily punch these out with my 1 3/4 inch circle punch!! Totally made this very easy. I used the Sugar Plum Pattern paper and a strip of Ripe Avocado from Papertrey Ink as well. 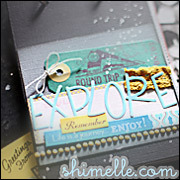 Finally broke out my Tim Holtz Scalloped Edge Sizzix die too. Can I just say that I am in LOVE with this die!! I will be using it again VERY soon!! I love the uneven scallop!! I chose inks that matched the pattern paper (Plum Pudding, Ripe Avocado, and Pure Poppy...all by Papertrey Ink) for the snowflakes and then whipped out my Signature Greetings (Papertrey Ink too) set for the sentiment. Love this card design, even without the banner sentiment! That's it for Kristina's Holiday Card series for this week. 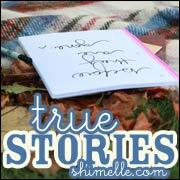 Please be sure to check out her blog for tons of inspiration!! I will be back tomorrow with a Thanksgiving card that I made for the Holiday Thinking Class over at 2peas. Until then, thanks for stopping by!! So one of my favorite things about the Christmas season is the music, and one of my favorites if Rudolph the Red Nose Reindeer. Growing up, we used to add in those funny sayings every time it was on the radio...you know the ones (like a light bulb, like monopoly, etc.)!! Still to this day I add those in every time I hear that song!! My card is 3 1/2 inches wide by 8 1/2 inches tall, which means it will fit into a business sized envelope. I also did some embossing on the red cover of the card, just like Kristina did, but I used my music stamp by Prima (love that stamp)!! And this gives it such a great look. Here's a better shot of the embossing and the sentiment (which, I think, is my new favorite...Big & Bold Holiday Wishes by Papertrey Ink). You can kind of see the embossing on the red here, but trust me it looks fabulous in person. Please, if you haven't done so already, go check out the Holiday Card Series over at Kristina's blog. She's such a fantastic papercrafter!! I'll be back tomorrow with my interpretation of Day #5. Until then, thanks for stopping by!! I am a day behind Kristina Werner on her 2010 Holiday Card Series, but I am really having fun playing along...even though there isn't a challenge to do so. I am really happy to be getting a jump start on my holiday cards this year, unlike last year where I was pretty late in getting them done and out, and cutting it very close to getting the cards to their recipients before Christmas Day itself. If you haven't see this series or her 2009 series, go now...really...I will wait!! The sentiment stamps are from Lawn Fawn as is the dreidel, but the cardinal is from My Mind's Eye. Love that little cardinal!! So cute!! Added some sparkle with Diamond Stickles on the cardinal and with a Spica copic on the dreidel. For the Christmas card I used pattern papers from Teresa Collins and The Girls' Paperie. For the Hanukkah card I used pattern papers from American Crafts Dear Lizzy Christmas collection and a digital Color Couture set from Papertrey ink. First, I want to take a moment to wish my sister, Melanie, a very Happy Birthday!! Now, on to Card #2 from Kristina Werner's 2010 Holiday Card Series. Love how this card is a circle and seems to be much more formal than the first card! I must say, I love coming home from a long day at work to the videos. I love this time of year!! The weather is finally starting to cool down (if you think the 70's are cool...which we should be getting here in Florida come Friday). It's starting to feel like the holiday season. Hoping to find some time to get crafty and play along tomorrow. Ok, so I have been a fan of Kristina Werner's work as a Garden Girl over at twopeasinabucket.com for quite some time, and I think I must have been living under a rock, because I only discovered her personal blog last fall...just in time for her 2009 Holiday Card Series. If you didn't catch the card series last year, I highly recommend checking it out!! Such fun, easy to make cards!! Not to mention that she has a Virtial Card Club kit of all the cards and sketches (a downloadable PDF file) for only $5!! And best of all...she's doing a 2010 Holiday Card Series!!! I was so excited for this series to start!! That snowman is so cute, don't you think!! I love the design of this card and I couldn't wait to get it made!! Hoping to be back with another card tomorrow...but that will depend on whether or not life gets in the way!! So excited to finally be able to play along with the third challenge over at the Papertrey Playhouse!! 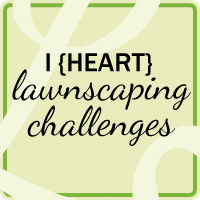 Krista was our host for this challenge and she challenged up to use tags on our creations. But not only that...she challenged us to find inspiration from the Papertrey Design Team!! This part was easy for me as I am inspired on a daily basis by the DT and the projects they feature on their personal blogs!! I found the tag part of the challenge to be the most challenging to me. I love tags don't get me wrong, but I often use them more in my scrapbooking than in my cardmaking...so I loved this one...it was a real challenge for me. Then, I participated in the most recent Papertrey Blog Hop...and holy moly did I love that card that Nichole featured on her blog the day of the Hop. Since I needed a few more Hanukkah cards, I figured this would be a perfect fit. I changed it up a little bit using yet another Clear Card as the base, and I used the new Blueberry Sky with Vintage Cream. I did my stamping with Versamark and Smokey Shadow. My menorah is a little off center (and it only slightly bothers me), but with the tag also being off center, I am trying not to let it bother me too much...not entirely succeeding (and I am thinking I will need to chalk this one up to great effort and recreate it before sending it). You're likely to see a bunch of Christmas Cards here very soon as I am going to be playing along with one of my favorite papercrafters, Kristina Werner, as she starts up the 2010 Holiday Card Series over on her blog today. Happy November and thanks for stopping by! !